Who doesn’t love a fresh-baked cookie? 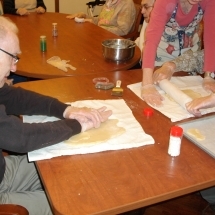 Arbor Lake Senior Living’s memory care residents got into the Christmas spirit by carefully preparing sugar cookies from scratch. 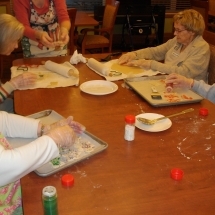 From rolling the dough to cutting it into shapes to decorating with frosting and sprinkles, our memory care residents had a wonderful time creating and eating their delicious sugar cookies! Aloha! 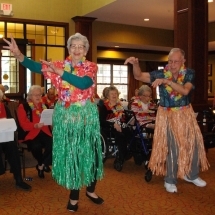 While this winter has been a cold one here at Arbor Lake Senior Living, our residents provided a little tropical warmth with a Hawaiian Christmas party. 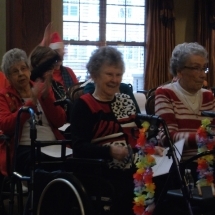 Featuring two of our talented residents as hula dancers, our assisted living and independent living residents performed the Bing Crosby Christmas song “Mele Kalikimaka” to wish everyone “Merry Christmas” the Hawaiian way. 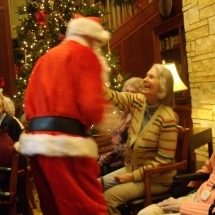 We even had a surprise visit from Santa Claus! 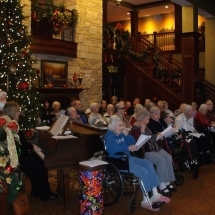 Arbor Lakes Senior Living’s memory care residents captured the Christmas spirit with a magical Christmas concert on December 12. 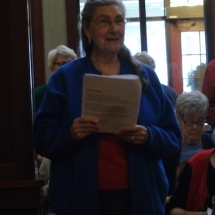 After weekly rehearsals for about a month and a month, our memory care residents performed a Saturday morning concert for their families and Arbor Lakes’ assisted living and independent living residents. It was a full house and a wonderful morning for all! 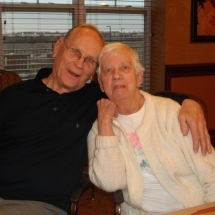 There’s never a dull moment here at Arbor Lakes Senior Living. 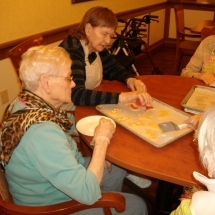 From concerts to quality conversations over ice cream, our residents have plenty of fun. 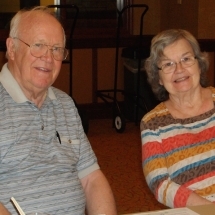 Here are two of our fine couples as well as the Kay Marie & Carol’s Dancing Christmas Spectacular show performed for our residents on December 12.